On Tuesday, November 14, 2017, the Health Committee hosted a cannabis legislation update to educate residents, community members and stakeholders about the future of cannabis regulations in Los Angeles. 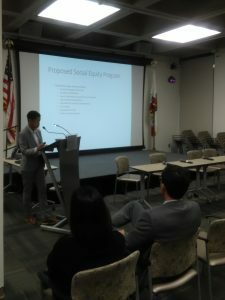 This was the second of a series of cannabis educational sessions hosted by the committee to educate 2nd Supervisorial District residents, community members and stakeholders about upcoming cannabis regulations and the future of cannabis regulations from Los Angeles County and City leaders, as well as providing a public health perspective. More than 50 attendees enthusiastically engaged the panelists with thoughtful questions and comments. Panelists included: Joe Nicchita, Countywide Coordinator, Office of Marijuana Management; Cat Packer, Executive Director, Department of Cannabis Regulation; and Cindy Harding, Chief Deputy Director, Los Angeles County Department of Public Health.